When I saw Sapana's Cucumber raita it reminded me of the Vellarikai Inji Pachadi we make at home - its a sellout success everytime, as we team it up with Upma, Pongal, Set Dosa, Vangibhath, BisibeleBhath or even Chinna Vengaya Kuzhambu (Pearl Onion Tamarind Gravy) . Earthy, rustic and homely - that's how I would describe this dish. The pics dont do justice to the dish as it was clicked just before dinner in front of a hungry family (you know how it goes from there on....But I shall update the pics soon).. In the meantime, this dish goes to BM # 41 under bookmarked recipes and also to my event - My health, My way - Calcium rich recipes guest hosted by PJ. If you have any Calcium rich recipes do send it to her here - the event ends 16th July. Peel and dice the cucumbers finely. Grind coconut, jeera, ginger, chillies, salt to a fine paste using very little water. Whisk the curd well, free of lumps. Add the ground paste, mix well. Chill well. Nevertheless, inspired by Sapana's recipe (whom I am paired with this week), we got to make this. 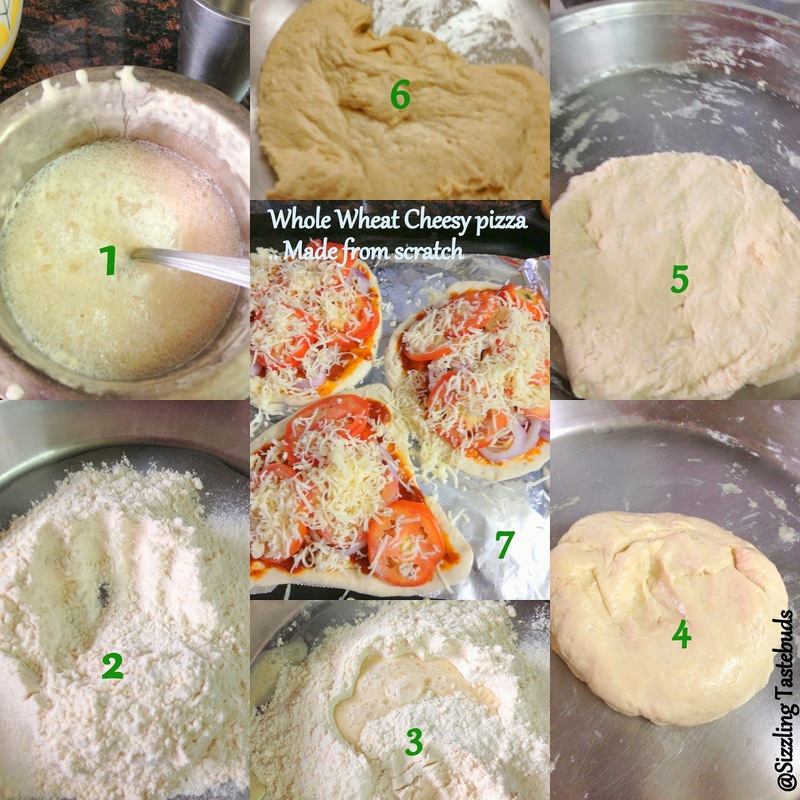 So, go ahead, make this and let me know how you liked it.. Btw, whats your favourite Pizza topping ? Now enjoy the pics, and have a virtual treat :) Sending this to BM # 41 under bookmarked recipes. Chickpeas (aka Garbanzo Beans or Kabuli Channa) is another great source of Iron. While I generally make PunjabiChole (Curry) or Sundal (steamed snack) or Potato Chickpea Soup with this, of late I have been cooking this in bulk and freezing – it comes handy while adding it to a kootu (gravy) or even making a quick snack or adding it to Tikki. Of course, the best way to enjoy this is to make a batch of Hummus or Falafels and enjoy it with Pita or Crackers. But that one – another day ! Till then enjoy this oven roasted chickpeas – it’s a great snack for kids, as well as to quell those 4 pm hunger cravings. What’s more – its homemade, so you get to choose the oil and spice that go into this. It only requires you to keep watching the oven and monitoring the beans a bit, but once its done, I bet you cant stop digging into the snack box, hunger time or no ! Hope you enjoyed the Iron Rich series presented this week – Sugarfree Dates and Anjeer Halwa, Broccoli-Spinach Paratha and now this Roasted Chickpeas. Note : As I already had a batch of cooked chickpeas, I followed this recipe, and it came out great. Else you may need to soak overnight and cook the chickpeas (make sure you add a pinch of salt and also ensure that they don’t turn mushy). Alternately, if you are using canned chickpeas, kindly drain before using and add the seasonings directly. In a large bowl, add the chickpeas and add all the masala (spice powders) incl salt. Mix well. Add 1 TBSP of oil and toss again. Let it cool a bit and store the baked beans as an any-time snack ! While on the lookout for Iron Rich Recipes, I found that two of my kids favourite ingredients - Broccoli and Spinach - contained Iron in good quantities. 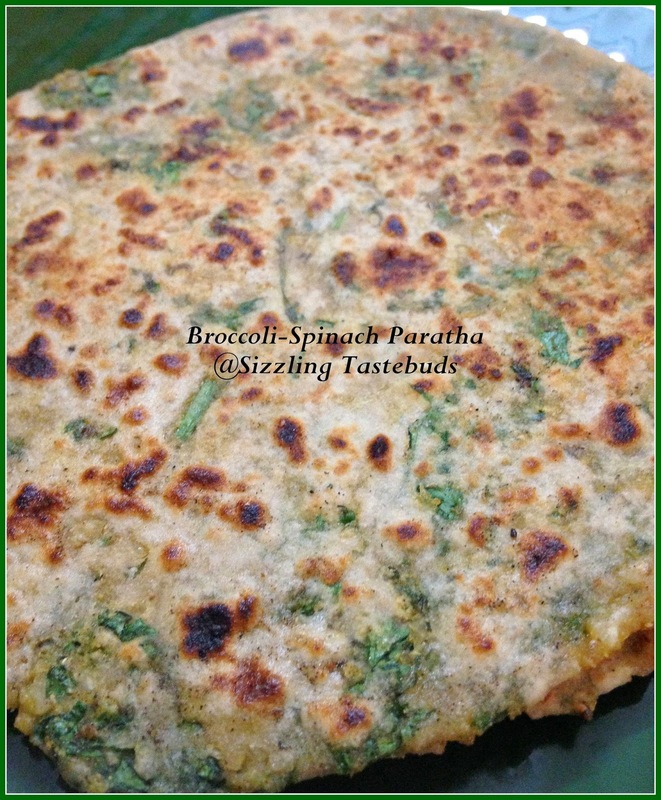 While a stir fry was the first thought on how to combine these two, Parathas (or Stuffed flatbread) was a better option coz that meant I would have a new Lunchbox dish and Breakfast as well. I made only a couple in the rushed mornings, and the pics are just before they were packed off. Serve it with vegan / eggless coleslaw or just a salad, it makes for a complete meal. Off to the recipe filed under BM's Iron Rich dishes after yesterday's Sugarfree Dates and Anjeer Halwa. In a large bowl, add flours, salt. Mix well. Add 2 TBSP of oil and make a medium soft dough adding warm water little by little. Cover and rest for 10 mins. Wash and pat dry the veggies. In another bowl, grate the broccoli and add the shredded spinach. Add a pinch of salt and leave for 2-3 mins. Squeeze out the water if any. Now add the spices, coriander and very little salt and a tsp of oil and make a stuffing . Mix well. (If making for adults, skip the salt and add a tsp of mango pickle to the stuffing : it tastes awesome). Pinch out a small roundel of the dough. Roll into a small disc. Add a tsp or two of the filling, and close the filling from all sides. Now gently roll again to a largish disc of medium thickness. Place on a moderately hot tava/ skillet. Now flip once some brown spots are seen. Drizzle oil and cook on medium heat on both sides. Repeat till all the dough is exhausted. You should get about 4-5 medium sized parathas.